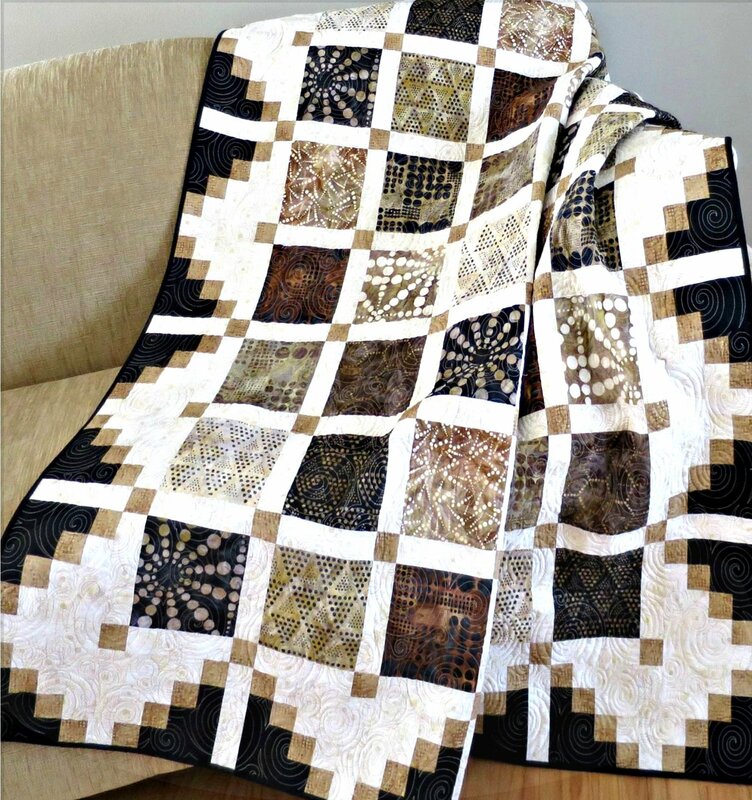 This quilt is super easy and fast to make. Great for a beginner on up! It would make a wonderful scrap quilt. You can also personalize the quilt by using novelty fabrics in the 6" center blocks. The border is added as you sew the rows together so that makes assembly really easy. You won't have to worry about wavy borders.